It is very easy to get wrapped up in the day to day grind. Too many things to do and not enough hours in the day to do them. Everyone feels that way at one point or another. Sometimes all it takes is a moment to recoup and you can get back into working on those things that need to be done. One simple trick you can use to help you relax and to help you get refocused is to picture your perfect day. Take a minute to just think about what your perfect day would look like. Define everything about your perfect day in great detail. Get a picture in your mind. Know what you would do from the minute you woke up until your head hit the pillow at night. After you have your perfect day planned out and clear in your mind go ahead and live it. Take one day to just live out your perfect day. If that is not possible, then simple focus on your perfect day and imagine yourself living it. You would not believe how amazing it feels to experience your perfect day. It can calm you in an instant. It will help you to focus better and to get back in the swing of things. The next time you are feeling like you have too much to do, just take some time to reflect on your perfect day. 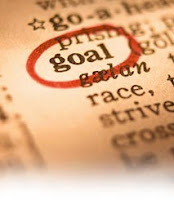 As you know by now, goals are the key to your success. You have learned many ways to harness those goals and focus in on them. Now it is time to talk about things that can distract from your goals. Your habits can interfere with and possibly even destroy your chances to reach your goals. Start by taking a look at your habits. Seek out those that will get in your way. Stomp out the bad habits. Learn new habits that are beneficial to you and that can replace the bad ones. To learn a new habit you should do it 20 times and do it daily. Watch how you change and how your attitude changes as you start to develop these good, healthy habits. You will see the positive changes spill into ever aspect of your life. Have a positive outlook and a good attitude is a great start on your path to reaching your goals. Dumping bad habits and getting new, good ones, is going to take you right down that path and you will start to see your goals within easy reach.